The ins and outs of communication can be tricky on Etsy. You want to make sure you are talking to your customers, but don’t want to spam them with unsolicited emails. These five simple tips can help you navigate the fine line between too little and too much communication. There is no better way to lose a potential buyer than by not responding to a question or message. Reply to all convos, messages and questions as quickly as possible – even if just to say that you’re looking into an answer. Shoppers are likely not going to wait around when there are so many other options out there. Did you know that writing in all caps is the equivalent of screaming? It’s difficult to decipher the tone of an e-mail. As humans, we are used to being able to read body language as well as hear a persons voice while communicating. With electronic communication, you need to navigate carefully. Re-read all your messages as if you were on the receiving end, and be especially wary of sarcasm or jokes that can be taken the wrong way. 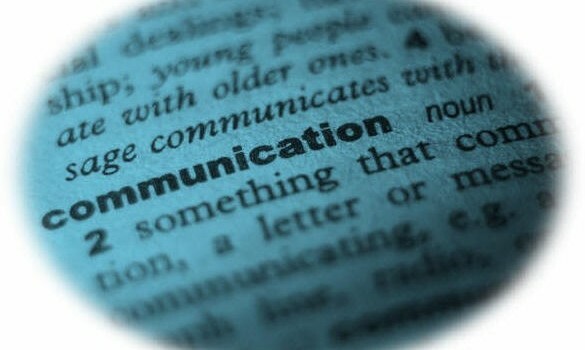 Let people know the best way to communicate with you, and that you’re open to comments and feedback. If you are not going to be available for a few days, put a notification in your shop announcement. Always include ways to reach you in your policies page and in your communication with others. Don’t forget to thank people for inquiring about one of your items or making a purchase. I send a handwritten note along with all of my orders, but a typed thank you in the ‘note from seller’ section will also do. A shop without buyers is pretty lonely, and you never know when a nicely-worded message will lead to a sale down the road. Etsy released a shipping notification feature that should be helpful in keeping buyers apprised of what’s happening with their purchases. Use the note feature on the shipping notification as an opportunity to let folks know how to get updates from you, sign up for a newsletter, etc. You may want to say thank you to repeat buyers with a coupon code. Just don’t overdo it–you don’t want to come off as spammy to your newly acquired customers. Be sure to check out my article on Etsy Etiquette for more tips on interaction with customers and sellers on Etsy.